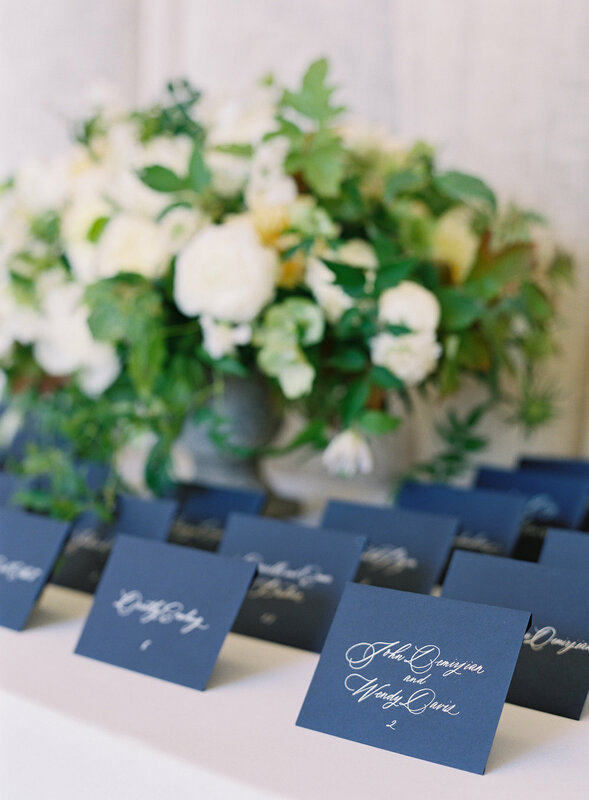 This simple, all calligraphy suite is so wonderfully serene. With a quiet simplicity to match the classic, elegant affair, the white and navy combination strikes the perfect balance between traditional and beachy. Our favourite part of this suite is the moody, ocean-inspired watercolour wash on the envelope liners. 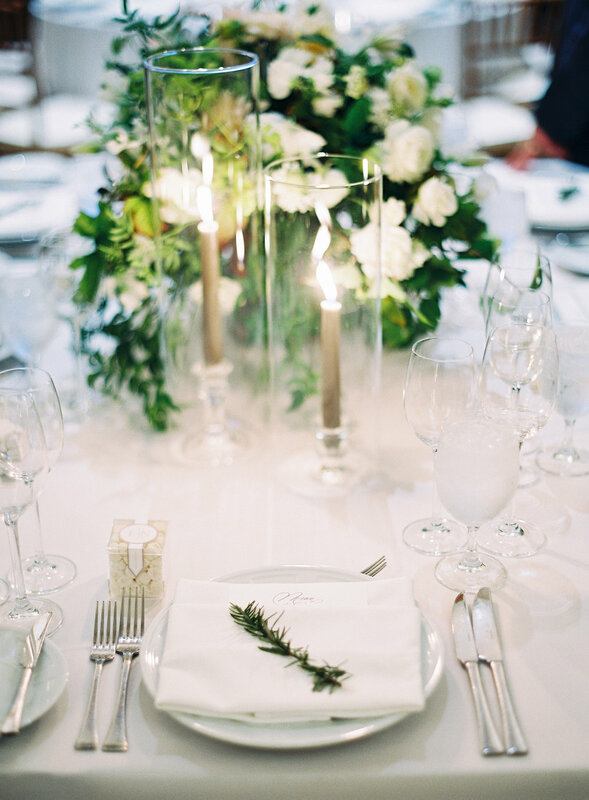 We loved it so much we incorporated it into the tablescape with handmade table numbers. All together creating a classic, soft stationery look with a deep love for the ocean.